Arthur A. Levine Books, 9780439627948, 48pp. Ella longs for a little independence in this second adventure for the charming elephant. 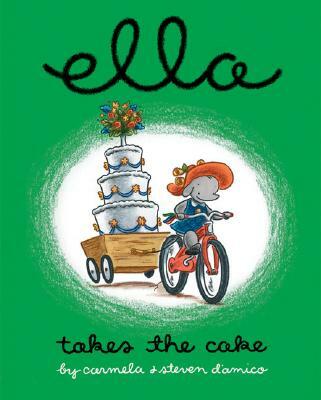 Ella the elephant is too little to slice the cake in her mother's bakery, and the oven is absolutely off-limits. It feels like she can't do ANYTHING important - until Ella's mother needs help with an emergency cake delivery. Then Ella peddles off on her trusty cart to prove herself, but there's a bumpy road ahead! In her second magical adventure, Ella the elegant elephant shows that you're never too little to save the day - so long as you have a big heart.